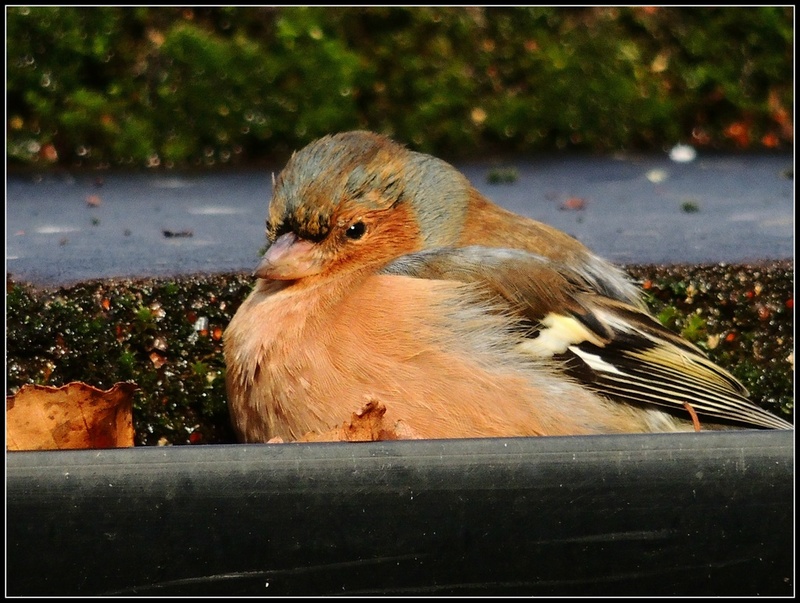 The gutter was a nice sheltered spot and the sun was shining so this little chaffinch decided to hunker down and enjoy a bit of warmth. This is just too wonderful, a lovely shot! Cute! Must be fed up of the wind! Have a lovely Christmas. Super shot Rosie and a very Happy Christmas to you and your family. Lovely photo - great detail. fav! Lovely shot Rosie - fav! Oh so cute - lovely cuddly, if slightly grumpy looking, bird. Smart little guy getting out of the wind and into the sun.